The Pentagon's new map: war and peace in the twenty-first century. · One Book. One Author. One Hour. 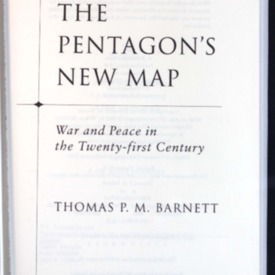 Barnett, Thomas P M, “The Pentagon's new map: war and peace in the twenty-first century.,” One Book. One Author. One Hour., accessed April 21, 2019, http://booknotes.gmu.edu/items/show/655.